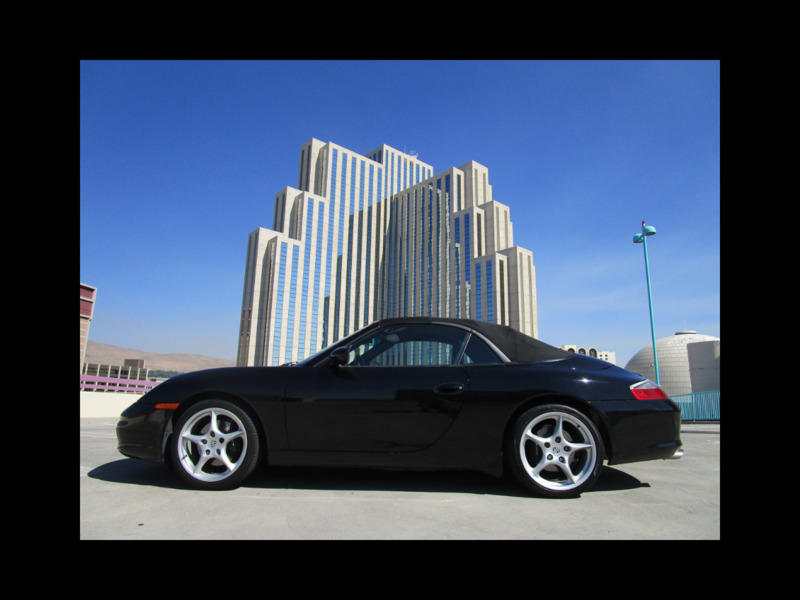 2003 Porsche 911-996 Carrera 2, Cabriolet, 3.6L engine, 6 cyl., 6 spd, transmission, rear wheel drive, 43k miles. Black exterior paint is in great condition, black interior leather is also in great condition. The car runs and drives excellent. IMS replaced. This car has been very well cared for and maintenance records shows very little use. All accessories working as required. Power steering, power brakes, power windows, power top, cruise control, air conditioning, CD, alloy wheels, all books, intermediate shaft bearings. Please call with any questions. David 775-843-2549 or Sharon 775-848-9630.